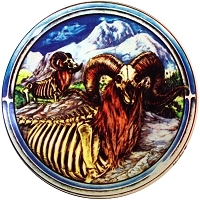 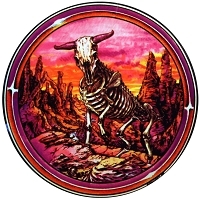 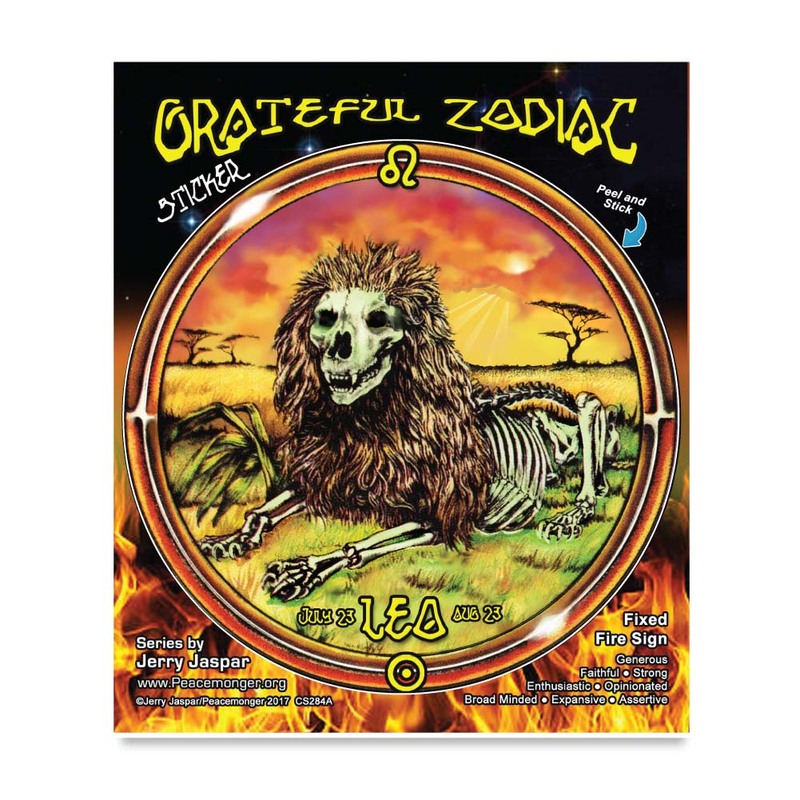 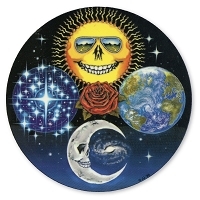 Jerry Jaspar's original Grateful Dead inspired zodiac artwork for Leo the Lion includes Leo's glyph and Sun sign symbol with the dates July 23 - August 23. 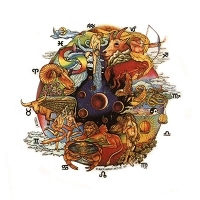 Leo's attributes are generous, faithful, strong, opinionated, broad minded, expressive, and assertive. 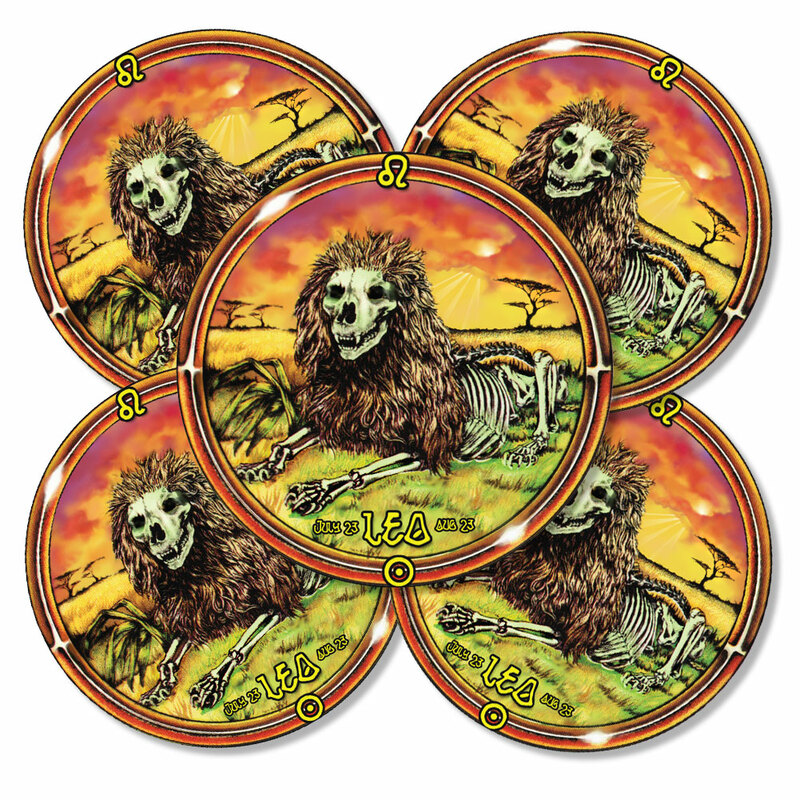 The lion is in repose with an African sunrise contained in a stylized metal reflective ring. 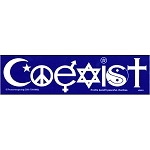 Card dimensions: 5 x 6 inches.